Legendary chart-toppers The Osmonds will be airing hits like Crazy Horses, Love Me For A Reason and Long Haired Lover from Liverpool on their final UK tour. 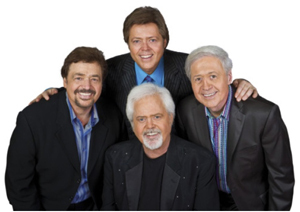 The Osmond brothers have been entertaining sold-out crowds throughout the world for more than five decades. Jimmy Osmond said: “We truly want this tour to be a great big thank you to all our fans for their love and support through the years. The tour hits Nottingham’s Royal Concert Hall on Wednesday, April 4, and Sheffield City Hall on Friday, April 6. Tickets cost £27.50 and £29.50.